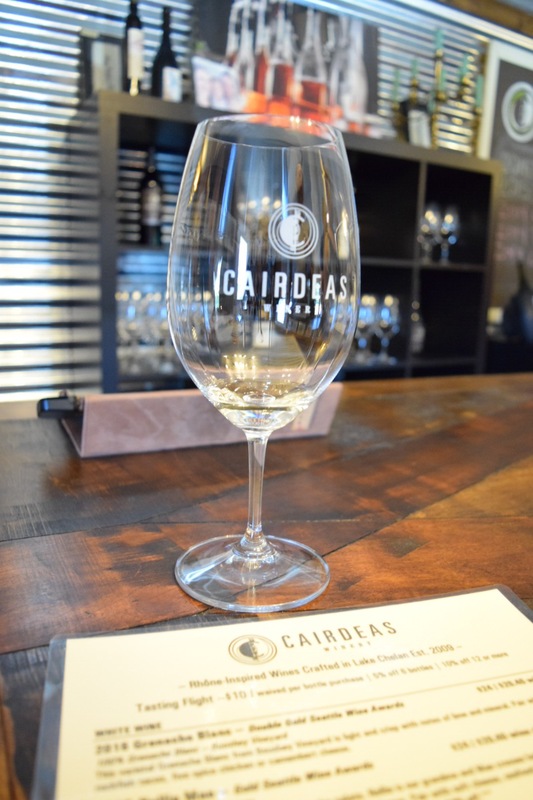 Cairdeas Winery Chelan – Abbey Co. I know it must feel like I am bringing you a lot of winery posts right now, and it is true that I am. The reason for it is that August is my “Lake Chelan” themed month, and I wanted to make sure to squeeze in a few last really good Chelan wineries before the month is over! Truly sad to think that summer is almost over, but honestly I am a huge sucker for fall and all the holidays that come along with it, so I can’t say that I am not looking forward to the months to come! So, on to my last Lake Chelan feature of the month; Cairdeas Winery! Cairdeas (pronounced car-das) is on the Manson side of Lake Chelan, just around the coner from Benson Vineyards. Cairdeas is similarly nestled up on a hilltop, with a fabulous lake view. They are a smaller tasting room, but do have a cute little covered patio to the side of their building where you can sit outside and sip, and they even have sidewalk chalk for kids (okay let’s be honest, tipsy adults) to play with. 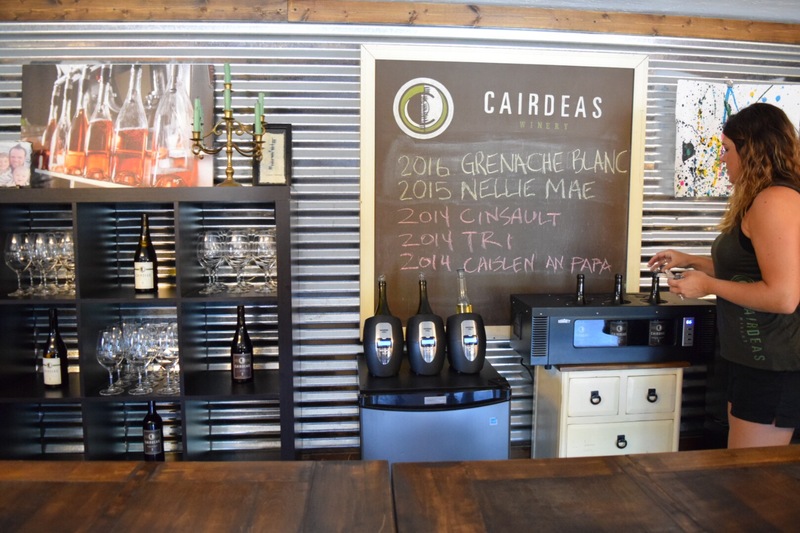 Cairdeas has plenty of good wines to tatste, and fun wine gadgets and gifts to shop while you are enjoying your time there. The Nellie Mae (a Viognier/Rousanne Blend) was a favorite of my friend’s group, and several couples took bottles home. My husband’s personal favorite was the Cinsault – a nose of deep blackberry with spice. Their wine club does releases twice a year, and a 6-bottle purchase automatically gets you in. All of their wines are very reasonably priced, which makes joining a non-issue! Cheers & I hope you enjoy your visit to Cairdeas next time you are in Chelan/Manson! Previous PostPrevious My First Giveaway!